In July 2006, Be Kids commenced the Women’s Empowerment Program to address and eliminate, where possible, the economic impediments faced by women in areas like Kangeta, Kenya. Through this program, co-ordinated by the Good Shepherd Sisters on our behalf, women carers of children can obtain a small interest free loan that can be used as capital to earn income for child care. If necessary, the money can be used for rent so women can free themselves and their children from dangerous situations such as domestic abuse. Basic adult literacy education is also included and many women are thrilled to be able to write their own names. The Women’s Empowerment Programme began in July 2006. The aim was to uplift the living standards of the day care parents and guardians who rely mostly on casual labour for their basic needs. The first program recipient, Lydia Naitore, used her loan to start a small business selling cereals and to pay rent temporarily so she could move to a safer place, away from her very violent husband. The challenges of empowering women in the community became shockingly evident when Lydia’s enraged husband threw away her stock of cereals, destroyed their home and severely cut her arm with a machete whilst she protected her eldest son from being killed. The child now attends the Day Care Centre and is receiving help to overcome his trauma so he can speak again. Today Lydia has learned from the strength from being part of the Women’s Group. She is able to rent a small shelter for her and her 5 sons and has had the courage to report her husband to the authorities and to the Children’s Department. She has been able to restock her business and through our program she has begun to understand her rights and those of her children. She is also a very keen participant of our adult literacy program. In July 2007, Be Kids extended the Women’s Empowerment Program to young women between the ages of 17 and 25 to offer them vocational training. These education loans are repaid from the sales of products produced in the training courses. Be Kids visited Kangeta, Kenya on 16, 17 and 21 July 2008. We discussed the status of the project in Kangeta with Sr Lucy Kanjira and met with two women participating in our program. On 18 July 2008, we visited Kajuki to discuss the establishment of a new project hub with the women of that area to be overseen by Father Joseph. On 23 and 24 July 2008, Joan Peters visited Marimba and discussed the status of the area’s project with Monica Tan. After discussion with Sr Lucy Kanjira, we decided to put the project on hold in this area. Sr Lucy is fully employed managing the day care and education program and she has enrolled in a social work course at University in Nairobi. Lucy feels that until they have another sister to share the work, the program would be best left until the political situation and rising prices stabilise a bit. The Women’s Empowerment Programme began in July 2006. The aim was to uplift the living standards of the day care parents and guardians who rely mostly on casual labour for their basic needs. The programme helped more than 20 women to begin their small businesses selling grains, vegetables and fruits in the market. A few women were able to pay the loans and continue their businesses while others paid the loans but did not continue their businesses. Some women spent the money on food, medication and rent so they were unable to continue their businesses. The programme helped five women and one man to establish small businesses, allowing them to obtain food, clothing and medication. Though they have not completed loan repayment, there is hope that their businesses will be sustainable. One of the women has been able to use her small business earnings to pay for her son’s secondary school education. The programme has also enabled training centre girls to purchase learning materials. The girls were given loans for school fees to be repaid through cards and bead making. Six of them managed to repay but one did not because she was not good in hand craft. Though a few women succeeded and benefited in their small business, the majority failed. The causes of failure were sicknesses, food problems and post election violence. The women relied on the small business for all their basic needs. The situation got out of hand when they got sick or a child got sick and they had to pay the hospital bills of even more than their business worth. Some asked for more loans before they paid for the past one but they ended up stopping their business. Others spent the capital slowly through food, house rent and clothing and the business collapsed. In addition, the post election violence ‘kicked’ them off the market because of the cost of living became very high. It resulted in scarcity of food and inflation. The little money the women had could not purchase the items they were selling before. Through the experience of supervising the empowerment programme, it was clear that extremely poor women who have no other sources of income and with so many children depending on them cannot benefit unless they are running a business of more than US$350. However, the younger women are likely to be empowered because their understanding and commitment support their business. The young women who already have little education can be empowered with business skills than the extremely literate women according to our assessment. We have also discovered that basket weaving and card making is helping the women more than selling cereals in the market. So, we prefer to enroll more women in basket making, especially at this time when there is drought and scarcity of cereals and vegetable for sale. The women will not be given money for continuation until the food crisis is stabilised in the country. 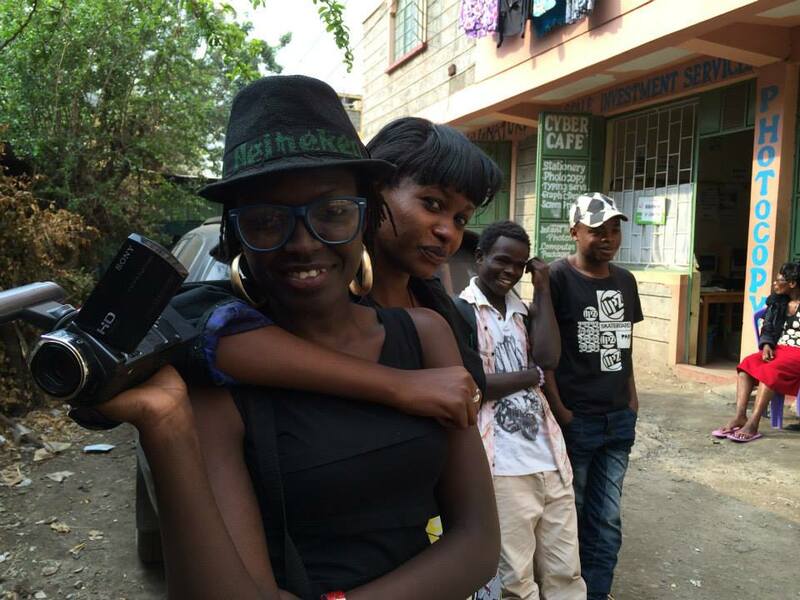 We are very grateful to you all in Be Kids for the support you have given our women here at Kangeta. Though the businesses have failed due to circumstances which could not be avoided like sickness and instability in the country, it still saved the lives of women and their families when they most needed help. Our thanks to all the organisers and volunteers who have sacrificed their time and money to give a smile to the women and their children under our care. After considering Sr Lucy’s report and evaluating the situation on the ground, we agreed that the programme at Kangeta be discontinued pending further review. Sr Lucy repaid Be Kids the sum of 21,370ksh. Six people are still conducting their businesses as a result of the start we were able to provide them and Be Kids is also paying for one girl to attend vocational school. Our assessment is that the women in the area are too financially vulnerable. Business funds were diverted to paying for critical human needs of health care, shelter and food which the programme difficult to sustain. Adult literacy: Improved business knowledge. Self esteem: Participants have increased self-confidence through sharing ideas and earning income. Cooperation: Participants have shown great generosity by visiting each other and sharing food in times of sickness. Counselling: Meetings have encouraged openness and group problem-solving. Business skills: Improved awareness of issues such as supply, demand, and price in business operation. Punctuality: Participants have learned that time is money and keeping time is key to improving business. Cleanliness: The importance of presentation was highlighted as participants challenged each other to buy at least one dress for special occasions. Human rights: Participants were enlightened on cultural practices that violate their rights. We hope that these benefits will have a lasting effect as Be Kids reassesses the situation in about 8 to 12 months. “An empowered woman is the hope of our community in Kangeta.' When men find that they cannot educate their children or provide their basic needs, they walk out and seek “easy life” in alcohol. This leaves many women to take all the responsibilities of the families, with or without resources. To help the women become self reliant the women empowerment programme was born last year (2006) through home visits with friends of ‘be kids’. Since then, the programme has supported women economically and socially. It has helped many to get food by themselves through small businesses. The first round they almost failed in small businesses but the second round has been very encouraging. Between July—October, 22 women began small businesses, each with a loan of Ksh.1,000-2,000 (approximately AUD$50) at least 15 out of the 22 responded in repaying the loan. Some finished their loan payment, others are still paying but 7 of them may not be able to pay because of their health problems. Has improved living conditions for many, 3 built new shelters, others bought iron sheets, others are able to pay house rents. Food: At least those who were begging from the convent have stopped. Clothing: Many can buy their clothes and for their children. One woman is able to pay secondary school fees for her son. An example is Jane (not her real name). She is a mother of 3 since their marriage the husband has been neglecting her, to take care of the family. His was to wake up in the morning, go to take alcohol and come for food in the evening. Sometimes he even drank the business money. When Jane learnt through seminars that men have legal responsibilities for the children, she threatened to divorce the husband and demand the maintenance of children. This made the man stop drinking instantly. He promised co-operation and family support. Now he is working as a casual labourer and he brings the income at the end of the day. That change helped Jane to buy even a cow which she could not dream of before. The extension of the women’s empowerment program has also assisted 7 girls to complete their training on dress making. The girls come from very poor family which cannot afford for secondary education but even the little money for that course they cannot afford. Sickness: Some women who seek help through the loan are sickly. We cherish to help them especially because of the children in the day care but they fail. Food: It is difficult for some to start the business without using the money for food. House rent: Those living in rented rooms also have a problem with the business money. The programme in Marimba was initiated with 10 women by Be Kids volunteer, Tamara O’Keefe, in December 2006. It appeared promising with most of the women engaged in the sale of grains and cereals. After Tamara returned in February 2007, however, the program faltered because none of the women in the group possessed strong enough leadership skills to manage the other participants and the program. 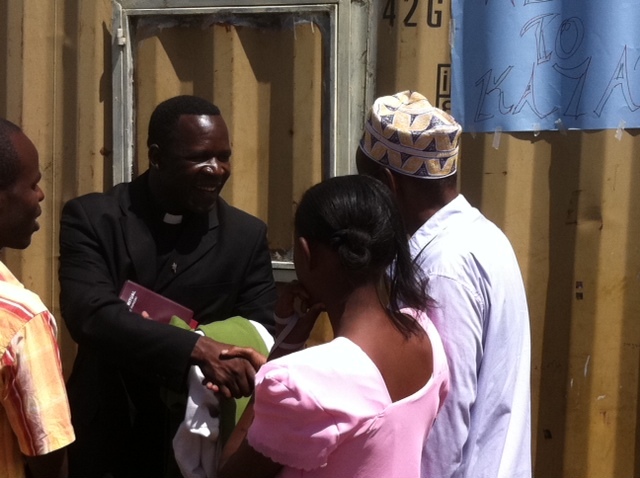 In July 2007, Monica Tan, the manager of the Our Lady of Grace Orphanage at Marimba agreed to collect returns for us. Be Kids visited Marimba but only met one of the participants. It appears that none of the businesses are now operating and loan repayments consist of an occasional few shillings. Monica has asked to be relieved of the duty of collecting and reporting these small amounts and has requested that the money be donated to the Acts of Mercy Orphanage for Disabled Children in the next village. Be Kids has agreed to this. We believe the failure of the program in this area is due to the lack of leadership and common enterprise.